Adam Jones: SHOULD WE DECRIMINALISE DRUGS IN THE UK? 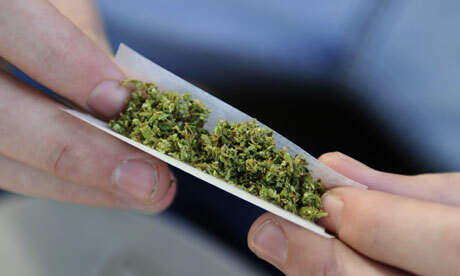 SHOULD WE DECRIMINALISE DRUGS IN THE UK? Over the last few months, the debate on the legalisation of drugs in the UK has been hotting up, and now BBC Free Speech will be debating the topic. So, what better time is there for me to blog my opinions on the issue? There’s no doubt about it, the UK does have a problem with drug use and the government has spent billions fighting the seemingly never-ending battle. But with increased levels of drug use and overflowing jails, the government is clearly losing the battle. We also mustn’t forget that it’s not only the criminal aspect to drugs that we should be concerned with. People become addicted to drugs, their health suffers, those around them become affected, and the government ends up spending even more taxpayers’ money to sort out the problems that branch out from drug use. Perhaps now is the time to try a completely new approach. Rather than sending people to prison for relatively short periods of time for drug use, we could instead offer them the help and the solutions to recover. We could educate the next generation of the dangers posed by drug use, reducing the chances of them becoming drug users in the future. I’m not saying we should decriminalise drugs in the UK, but the government should at least look into new methods to deal with the growing problem. 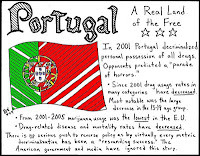 Portugal put in place similar methods around a decade ago, and they have seen excellent results, including a fall in property crime and a reduction in heroin use. 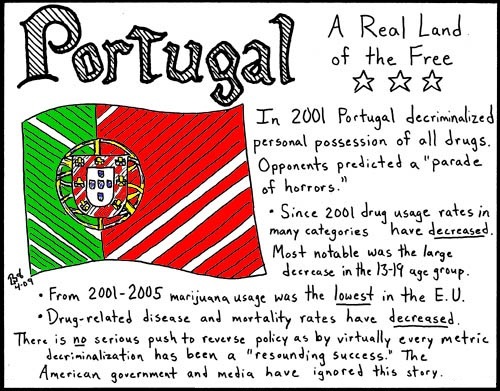 The Portuguese government went all the way and decriminalised drug use. Now, that may have worked for them, but our culture in the UK is very different so I think legalising drugs would be completely the wrong decision. Yes, it would enable the government to benefit from another tax avenue, and possibly even make drugs safer as they could be regulated, but it could also encourage more people to use drugs as the government would effectively be endorsing them. So, what should the government do? Well, this isn’t a problem to be fixed overnight, so the government should take on-board and explore all of the avenues which are open to it and work towards a collective goal of reducing the amount of drug use in the UK. Maybe looking at the war on drugs in a new light could help. Instead of looking at the amount of arrests made, look at how drug-related crime rates have reduced. Look at the level of dependence on drugs and the level of HIV infection. These are incredibly important things to consider, and aren’t solved by putting people in prison, at least not before help and rehabilitation have been offered. Perhaps instead of a prison sentence, drug users should have to attend rehabilitation programmes, but if they fall back into the drugs culture, tougher action such as prison sentences, should be taken with them. But whichever route the government takes in the future, one thing is for certain – the current policies are not working for our country and something needs to change.